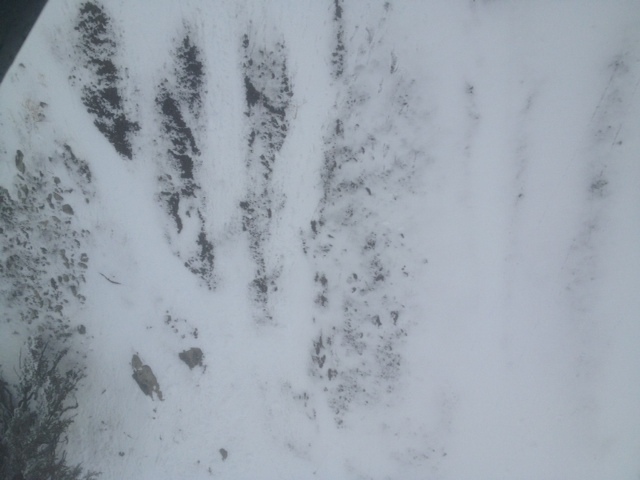 Road clear to Manker Flats… Remember boots when leaving house! 8:00 am sky was overcast at this time but good visibility, was able to see sun on Baldy on drive up through scattered clouds. About 6500'/ 1980m to 7400'/ 2260m signs of rapid warming from the day before, heavy roller ball activity on W and SW slopes. 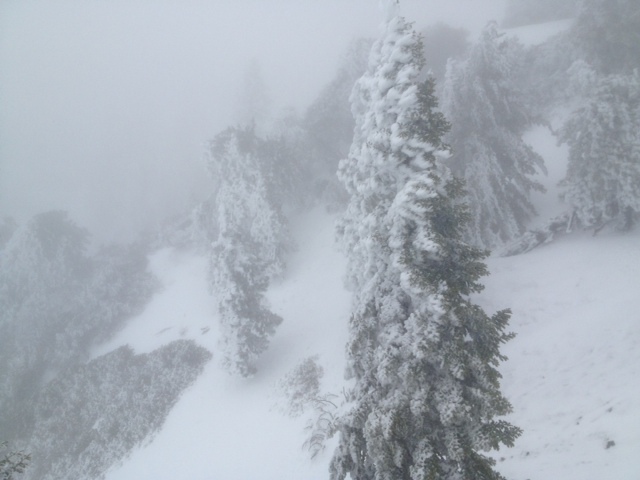 11:15am - 12 @ 7800'/ 2380m - 8400'/ 2560m 4"/ 10 cm - 8"/ 20cm heavy wet snow. 12:30pm 8000'/ 2440m 7"/ 17cm snow on ridge top. Trees were heavily rimed on Southerly sides with ice all over… signs of the warm nature of the storm and lots of water prior to freezing temps. 1:00 pm 8500'/ 2590m 5"/ 12cm to 6" 15 cm on ridge top.